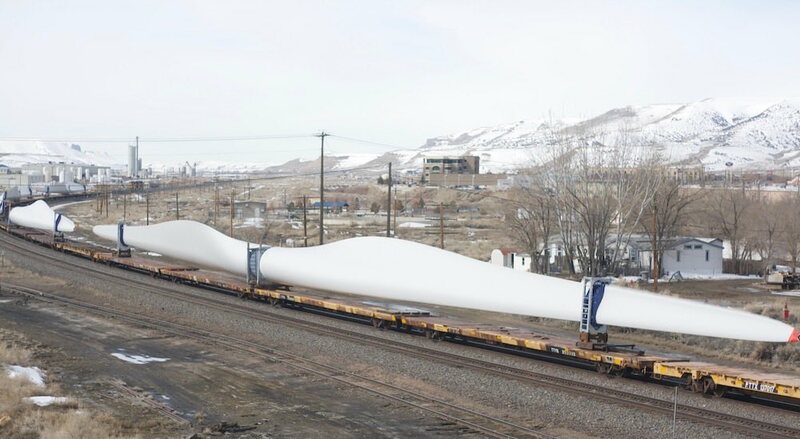 Riding the inexorable winds of change, a line of rail cars carried these massive wind turbine blades through the historic coal mining town of Rock Springs last week. 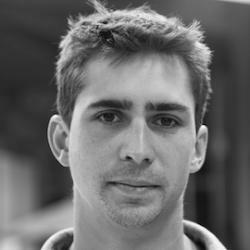 The blades rolled slowly through town on flatbed rail cars — two cars for each wind catcher. The passing parts dwarfed houses and rail cars sidelined on the tracks. The most commonly used blades in the U.S. range from 116 feet to 148 feet. Turbines used to harvest wind offshore can be even larger — a turbine going into action on the Irish Sea has 262-foot blades, according to a blog kept by the renewable energy utility Arcadia Power. The wind turbine parts passing through Rock Springs on March 21 were headed west, destination unknown to a reporter who spotted them from a bridge. While Wyoming’s largest wind projects lie to the east and north of Rock Springs, the power company Invenergy has a 47-turbine wind farm on tap for Uinta County. Sign of the changing times in old Rock Springs. Finally, Wyoming is using one of its most abundant resources, WIND! The state also gets more sunny days than almost anywhere so the combo WIND/SOLAR should replace Trumps coal burning power plants. The days of Rock Springs Coal were over when the mines started closing in the 50′ and 60’s and our grandfathers and fathers either died of black lung or found other work. Tourism and new energy is the future for the state.